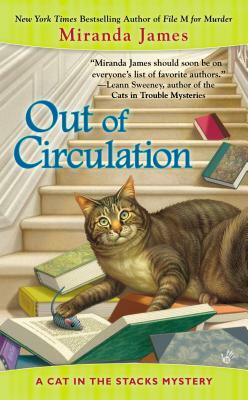 Librarian Charlie Harris and his cat Diesel must content with some spirited southern ladies when a feud ends in murder in this mystery in the New York Times bestselling series. The Ducote sisters are in a tiff with Vera Cassity over the location of Athena, Mississippi's annual library fundraising gala, and Charlie would rather curl up in a corner than get into the fray. It seems everyone—even his housekeeper Azalea—has it in for Vera. And at the gala, she gives them good reason, with a public display of rancor aimed at anyone who gets in her way. But those bitter words wind up being her last. When Charlie discovers Azalea standing over Vera's dead body, it's up to him—with a little help from Diesel—to clear Azalea's name, and catch a killer before his last chapter is finished.